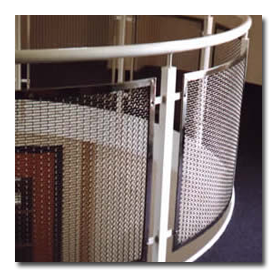 Stainless steel woven wire mesh type DOKAWELL-MONO 3411 was formed into curved panels following the radius of the balcony. 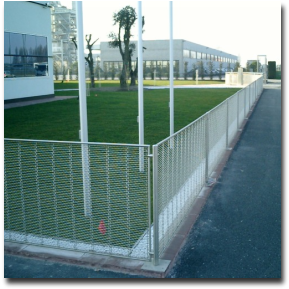 The panels provide the necessary protection coupled with an attractive design. A contemporary balustrade design featuring panels of weave type DOKAWELL-DUO 3422. 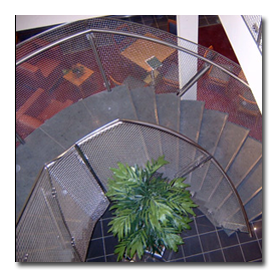 Framed panels of HBWF weave type DOKAWELL-MONO 3481 were formed to following the radius of the staircase. 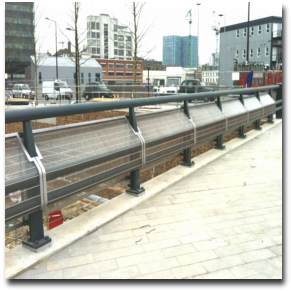 Elements of HBWF weave type EGLA-MONO 4223 make excellent external balustrade infill panels.